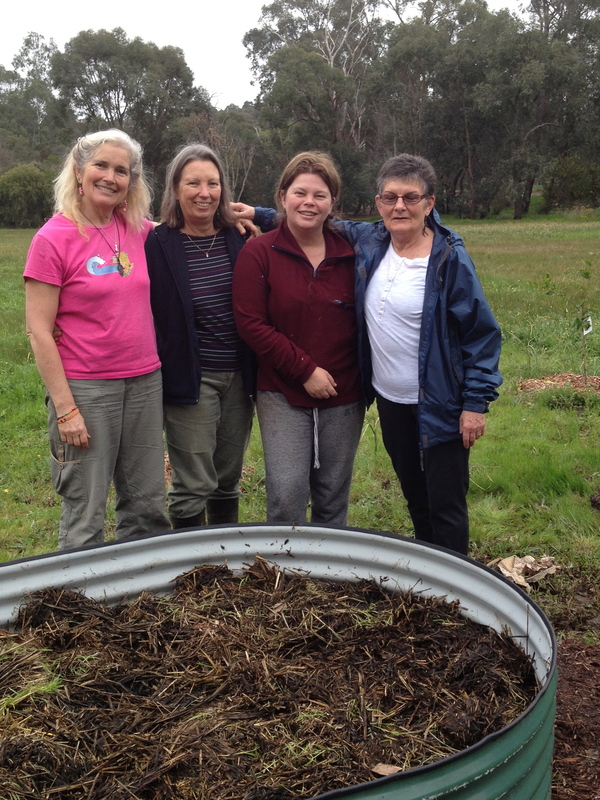 For the Kitchen Gardeners’ Society September workshop, the gardeners were delighted to be invited by the Glen Forrest Community Garden to put in some garden beds. 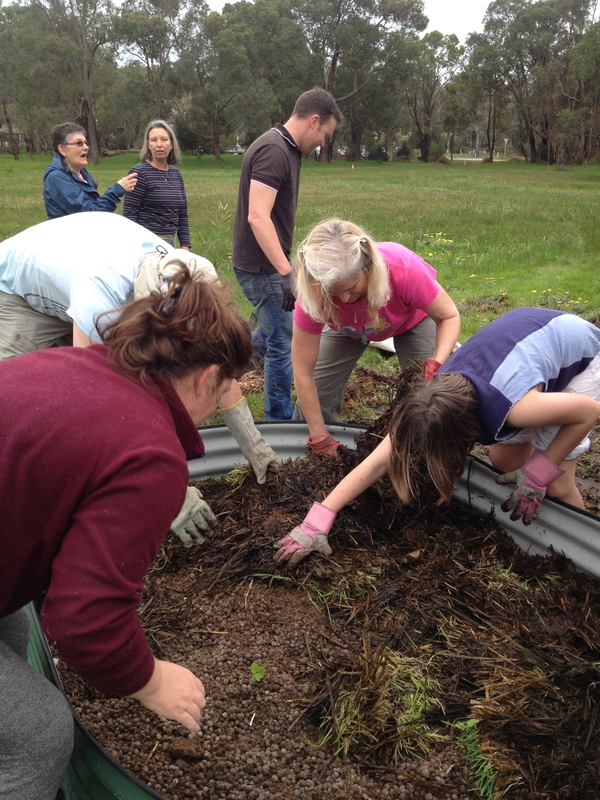 The Glen Forrest Community Garden is only just getting going, so this was a wonderful opportunity to help build a beautiful space for everyone to share. So far, there’s a few fruit trees there, some artichokes and some broccoli that isn’t doing too well. The site gets the odd frost and it’s not protected, so the delicate little plants have suffered this winter. But, as spring is here, it’s time to get some spring veg in. 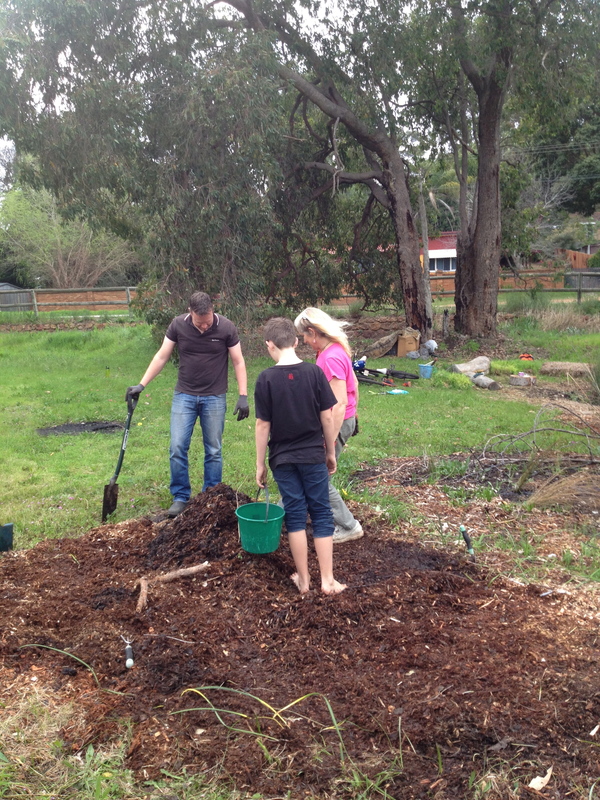 Using lots of old newspapers and mulch, we all mucked in to put down paths. Then, using the organic design method, we put in a raised bed for potatoes. Kerry brought a stack of seed potatoes and some potato sprouts which we planted on layers of poo, rotting down straw and shredded paper. Once the leaves appear, we’ll put another layer of straw and soil on top of the, forcing the plants to leave another layer of tubers, and grow taller. With a bit of luck, there’ll be three or four layers of lovely potatoes in this bed. Everyone is hoping the rabbits don’t find the garden and in a couple of months, there’ll be a lovely harvest of beans, tomatoes, corn, artichokes, broadbeans and lots of other veg. If you’ve got a couple of hours spare on a Sunday, there’s always something happening at the garden, corner of Hardey Road and Railway Parade in Glen Forrest. You can keep in touch on facebook here. This entry was posted in Community, Event, Food, Kitchen Gardeners and tagged Glen Forrest Community Garden, Growing food, Kitchen Gardeners. Bookmark the permalink.